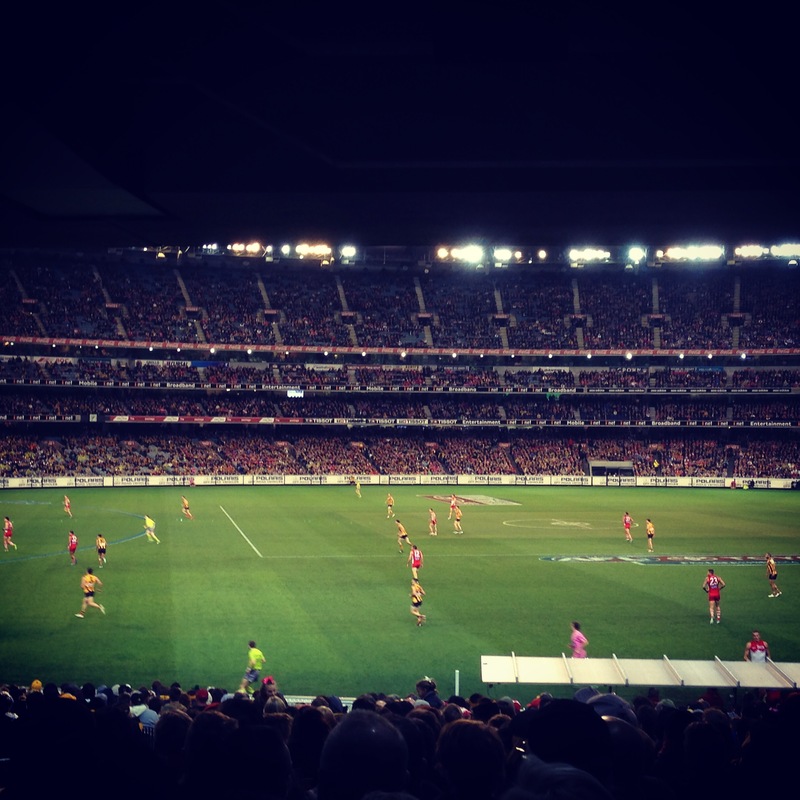 How I accidentally became an AFL fan – These Two Eyes! Okay I’ll admit. I like AFL. The revelation came to me last night during the semi-finals of Hawthorn vs. Port Adelaide. My eyes were focused, my pulse was racing and the comments coming from my mouth were volatile. In fact, I never anticipated when entering the dark, unassuming warehouse of Moon Dog Craft Brewery that I would witness a large screen projecting the second most awaited game of the season on its back brick wall. Hipsters don’t like football. But Melbourne hipsters do. And that’s what I think makes it all more appealing. It’s a game like nothing else; call it football or footy or Aussie Rules. It’s a sport that combines the skills of soccer and rugby with a very visually stimulating set of athletes – tall and lean, toned arms and quick speed. Maybe it’s the fact that Melbourne breeds AFL. There are currently 18 teams in the Australian Football League (AFL), half of which are based in Victoria and around Melbourne. It’s a bit of a religion, and during football season you better know which team you support. I’ll fess up though, I don’t have a team. Nearly a year and a half living in Melbourne and I just can’t choose. I live in Richmond, yet previously lived with a Geelong supporter, casually dated a guy who went for Essenden, but then again Hawthorn is number one. There was also that one time that I partied with a handful of the boys from the Sydney Swans, my other housemate went for Fremantle, and I used to live in Brisbane so have a soft spot for the Lions even though they aren’t very good. You can now see my predicament. I can only blame this on the boys. Living with two faithful AFL fanatics for a year seemed to have influenced more than I would have thought. During football season our townhouse became an AFL haven. I didn’t have a choice in the matter. From watching countless matches I learned about goals, handballs and kicks. I could associate names and numbers with those players I deemed as hot and which teams they played for. What pushed me over the edge was my voluntary entrance into the work tipping (betting) pool that lasted the entire season. I’m proud to say I came in 4th place, which is pretty darn good for a first timer. Because there was potential to win a few hundred bucks, I even surprised myself by checking the scores on my phone over the weekend and ensured I got my bets in on time while traveling overseas. 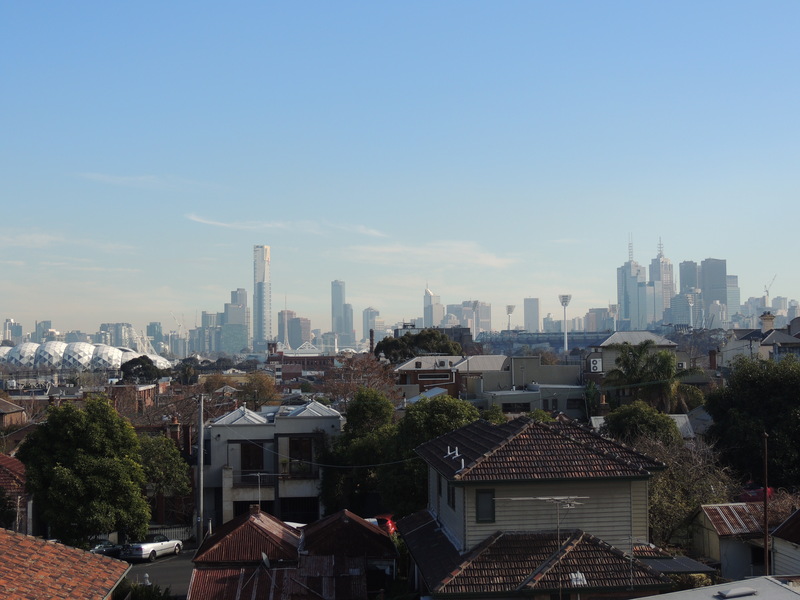 The best part about the madness of football appreciation in Melbourne is that Richmond, the neighborhood I live in, is where the action takes place. The MCG (Melbourne Cricket Grounds) is the 13th largest stadium in the world, and can host 100,024 people. Because there’s a guaranteed game every weekend during season, along with the fact that all of the pre-game bars are a short walk from my residence, whether I want it or not, I’m surrounded by AFL hype. Plus, the large stadium lights are now an iconic symbol of what I’ll always remember Melbourne by. The biggest game of the year, the Grand Final, is scheduled for this coming Saturday. And while I think it would be an experience of a lifetime to attend, the cost for the ticket is what is dissuading me. At the least, I can rest assured that instead of being turned off by the madness that is Grand Final Day at the MCG in Richmond, I welcome the sport and all that comes along with it.